WASHINGTON -- The federal government will end its contract with CGI Federal for the error-plagued HealthCare.gov website, instead signing a contract with Accenture, The Washington Post reported Friday in its online edition. U.S.-listed shares of CGI Group (GIB), the parent of CGI Federal, were down 3.5 percent at $31.36 in late trading on the New York Stock Exchange. 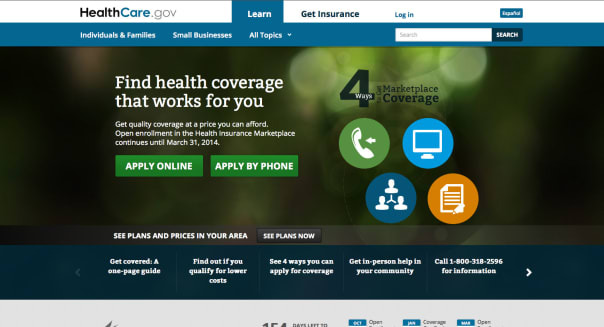 HealthCare.gov's technology failures in the weeks after its Oct. 1 launch created a political crisis for President Barack Obama, threatening the rollout of his signature health care law to consumers and emboldening its foes among Republican lawmakers to call for its delay. CGI has been immersed in the effort to repair the site, which began working more smoothly for hundreds of thousands of consumers in December, allowing them to enroll in new health insurance plans offered under Obama's Affordable Care Act. But the government's dissatisfaction over the website's early crash, %VIRTUAL-article-sponsoredlinks%as well as aspects of the site that still do not work, are behind plans to sign a one-year contract with Accenture (ACN) instead, the Post report said, quoting a person familiar with the matter. CGI's current contract for the work ends in late February, and the new 12-month agreement with Accenture is valued at about $90 million, the Post said. In an emailed statement, an Accenture spokesman said, "We are in discussions with clients and prospective clients all the time -- but it is not appropriate to discuss new business opportunities we may or may not be pursuing." Officials at CGI weren't immediately available for comment. The Center for Medicare and Medicaid Services, the government agency overseeing the health-reform law's rollout, wouldn't confirm or deny that it planned to end its contract with CGI. "We are working with our contract partners to make a mutually agreed upon transition to ensure that HealthCare.gov continues to operate smoothly for consumers," a CMS spokeswoman said in an emailed statement. More than 1 million people in 36 states have enrolled in health plans through HealthCare.gov, most of them in December. Another 1 million people enrolled through websites run by individual exchanges in the other 14 U.S. states. -Washington breaking news team; additional reporting by Caroline Humer and Lewis Krauskopf in New York.